Homeopathic option treats permanently with no side effects while with mild medications that will take a little longer time. Another choice of treatment herbal or you can call it as Ayurvedic considered as old way of cure and has no side effect but faster. Here tablets, oils and powders are made using herbs, plants or other minerals. Modern type allopathic is widely accepted in which chemicals or drugs are orally or injected directly into the veins or surgery when needed for the treatment. Know the detail of the therapies with mutual understanding with your healthcare professional to decide the best option for you. In spite of availability of different options to cure health issues of patients whether the methods to treat could be modern or traditional yet the effectiveness of mode of treatment is based on people’s attitude. 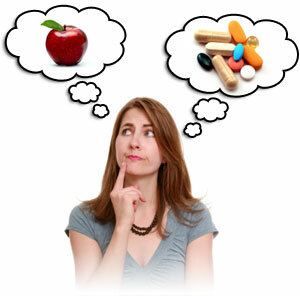 It is the patient’s behavior that made to choose a sort of treatment best for him/her. Patients with positive attitude are confident and respond instantly to medicines while others with negative personality have low will power and feel hopeless about any improvement in them. I believe it is the connection between mind and physical health which is the significant factor that plays an important role in preserving hopes hence will help to keep metabolism high and recover fast. Moreover, if your mind is full of discouraging thoughts or you are in depression and think you can’t be well, medicines will definitely seem ineffective onto your health. To be concluded your mental state has truly impact on your healthy conditions.